Hey there! Thanks for dropping by I Wish a Thousand Little Things! Take a look around and grab the RSS feed to stay updated. See you around! So I finally finished The Spy Who Came in from the Cold – and was disgusted. If you want to know what happens feel free to ask, or read about it on Wikipedia – I was disgusted. Disgusted that they manipulated each other like this. Disgusted that it worked. Angry generally at the world. …I then recommended it to my maths teacher, and then ranted to him about how awful it was. Very good book though – it has what my English teacher would call “concious crafting” – that is, with-holding information, and making you think one thing (by implying it) but that being wrong. Basically, at (about) midnight on Gilwell 24, I met this girl in the queue for the Waltzer ride*, and she mentioned autism, and we got talking (she was Aspergers like me), and we understood some of the same stuff, and felt the same was about things (about people), but she was a “bad” person to talk to – like, always butting, always talking about herself, in other words, a typical Aspie. Then, all of a sudden, I understood why people didn’t want to be friends with me. But I stayed and talked to her loads because I could tell she was clinging, which is what I do when I make friends, and then think that they are going to run away from me. Guilt. Guilt. Guilt. And I remembered how desparate I sometimes was to have people stay friends with me. So I was nice to her, and now I have her email address. I could email her if I want, but I don’t know if I want to. Ahhhh. I fely awful for finding her bad at conversation, et cetera. She was severe/medium Aspergers, you could tell. I wonder why my AS wasn’t so obvious (even though I’m mild, I would have thought it would be noticeable. *= The ride was sh*t – too loud, too noisy and enclosed. I prefered the other one. I know Life’s Not Fair. I know. I know. I know. But still, it’s just…realising it’s not fair. Like, on Friday when the teacher pretend poked me with a wooden sword, and I realised h0w unfair it was that he was nice and understanding, and my father and my family was not. Why couldn’t my dad be like him? It’s not fair. But everybody knows that. Why is daddy on the sofa, mum? Why does he smell so bad? What’s that bruise on your cheek, mum? Why did daddy hit you, mum? Why do you cry so hard? As you pick up a china shard? Why does daddy swear, mum? Why does he do it at you? Be brave at school like I do? Why are you so still, mum? Why are the strange men here, mum? Why are they taking you away, mum? Why did daddy hate us, mum? Why do the strange men moan? Why am I in court, mum? What is domestic violence, mum? Why did he do it to you? Author’s note: Sometimes the hardest question to answer is why, and there can never really be a proper answer. Copyright Lyla Hayes. 2012. Flash Fiction are small stories, around about 150 words long. When I did Flash Fiction, and I did it once, I thought it was “see how much you can write in five minutes” with a prompt/clue. I’ll post my own Flash Fiction later. Today is National Flash Fiction Day, so what a good day to try some. I found out about it from a small article in the G2 (a section of The Guardian) – which is here, and very helpful, I found. I’m gonna try some later. If you want it trending, or want people to know about it, write about it! …I don’t have Twitter, so I can’t tweet, but I will try and get my FanFiction friends to write some. 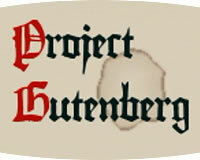 Project Gutenburg is possibly the largest collection of free eBooks on the web (correct me if I’m wrong). All available for downloading. The founder of the project, Michael Hart recently died. There are audio books as well, although those also can be found on a different site (specifically for audiobooks), LibriVox. All of these books are in the public domain (so no one holds copyright – at least in the US), and therefore free to be taken and used for free. …Imagine my delight when I found almost all of the Sherlock Holmes books (by Arthur Conan Doyle) on there, as well as Jane Eyre (which I am trying to plough through). When I get a Kindle, which I assure you will be very soon (because I finally have enough money), I am going to go bananas on that site. Also, some people, if you check their Tumblr or LiveJournal allow you to download their FanFictions in PDF or “.docx” or “.doc” form. Well, they have versions of them up, available for downloding, and therefore, it is assumed they want you to download them. I have just started another one of John le Carre’s George Smiley spy books. This one is not as popular as Tinker Tailor, but so far so good. The main character is Alec Leamas, a spy is supposedly “retired” but is in fact pretending – he is doing a mission for Control where he will be snapped up by Soviet agents, and will pretend to be an informer for them, all the menawhile working for the British. It reminds me a bit of Anthony Horowitz’s Alex Rider series – Alex’s father John goes in the same deep cover. …On another note, I couldn’t find a picture of the cover that is on my version. Y’know when pages fall out of books, you mend them with sticky tape and the pages stick out even more, and it looks more ugly – well, that’s what I did to my version. It’s not even mine, I’m borrowing it. 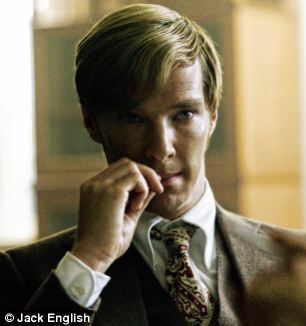 I love the character of Peter Guillam in Tinker Tailor Soldier Spy (by John le Carre). He is blond and ‘good looking’ – and is about 40. In the book he is having an affair/fling/whatever with a 20 something student called Camilla (who plays the flute). He is friends with George Smiley, and acts like his inside man. He is getting quite nervous and freaked out by the end of the book (“His nerves were so taut”), and appears to be losing it slightly. He is human. I keep repeating this word in conjunction to Tinker Tailor Soldier Spy because I feel that le Carre has made believable characters, or more specifically, believable flaws. Guillam is losing it and Smiley is confused (and losing it too), mainly in conjunction to his ex-wife (Ann) and how events seem to be catching up with him. I don’t like Smiley as much simply because of the way he acts. He is calm, and is a bit too controlled, I find. He figures things out. He is the big cheese in films who tells the villain what they have done (and how they worked it out), while the villain is held at gunpoint. Get what I mean? I don’t like characters that are too controlled. Guillam’s flaws make him more human. I read like crazy to finish Tinker Tailor Soldier Spy. While my mother and the sibling sat and watched Ice Age 3, I sat and read about Peter Guillam, George Smiley and co.
…With a slow tension build up. The characters are very well written, as I said before very human. With Smiley there is this whole theme at the end where he is just disgusted by what is happening. He feels that he cannot be loyal to people at Circus, and how can they expect loyalty when they act that way, Lacon and Alleline being greedy, and so on, how can he? With Guillam, he cracks (he was cracking slowly before). He loses it and beats up the mole, and then he “grows up”. He respected the mole, before he knew it was him, looked up to him and liked him, and now, what is he supposed to feel about him? If you want to know who the mole is, please comment on this post and I will tell you. Or alternatively, you could get it off Wikipedia, but that’s cheating. The end is slightly anti-climatic, and is what I believe my teachers would call concious crafting. It returns to Bill Roach and Jim Prideaux. And at the end of term, how Prideaux is losing it slightly, and Bill helps him. And I want the next one, so bad. Note: I am updating far too quickly than is regular. This site is not only a record for my readers (if I have any), but for me. I will update when I want to. Something I wrote ages ago. Copyright Lyla Hayes. DO NOT copy. I will kill you (actually, I won’t, I’ll just be very disappointed in you). Letting such a conflict grow. Widows weep, they want no more. But this, this is war. Books Characters Freebies Poetry Stalking The Spy Who Came in from the Cold Tinker Tailor Soldier Spy Uncategorized Writing et al. Two men walked into a bar. You'd have thought one of them would have noticed it.